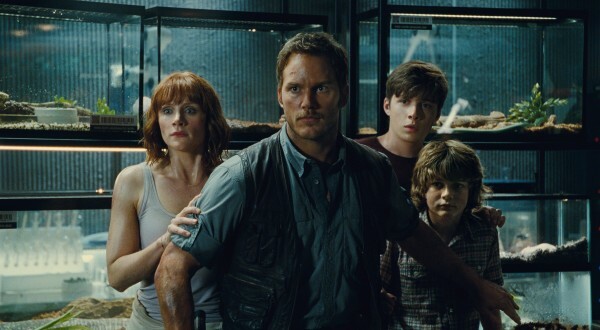 Mild spoilers for Jurassic World to follow – and if you’ve yet to see Colin Trevorrow’s franchise revival, then why are you still reading? Go! Isla Nublar awaits – but perhaps one of the greatest, crowd-pleasing moments of Universal’s reboot takes place during the grand finale, when the Mosasaurus emerges from the murky depths of its enclosure to take down the man-made Indominous Rex at the eleventh hour. It’s a truly fitting conclusion to Jurassic World in the sense that the regular old dinos of Isla Nublar triumph over the genetically modified Indominous and, in doing so, restore some semblance of order to the island itself. For those of you holding out hope for a similar action sequence in Juan Antonio Bayona’s Jurassic World 2, you may be in luck. ComicBook has uncovered an interview with Kevin Layne, one of the many new recruits on board for the 2018 sequel, wherein the actor teases an “epic” underwater sequence involving submarines and dinosaurs. Layne goes on to clarify that, after testing for two individual parts, he’s signed on to play the as-yet-unnamed ‘submarine pilot,’ so assuming this report holds true – Layne’s IMDb page lists his name under Jurassic World 2, but we all know how sketchy the outlet tends to be when it comes to veracity – the actor surely knows a thing or two about the story that Bayona and Co. have rustled up. I remember getting advice from Lennie [his agent], ‘Make sure you go looking like the part. You’re a soldier, you’re a mercenary. Think it. Be it.’ I read for two parts, and ended up getting the role of ‘submarine pilot’, which was the role I wanted as it is quite an epic scene. So I should have a nice cinematic moment on screen in a massive studio film. It’s “scarier” and a “little bit darker” than the first, according to Chris Pratt, and we’ll be able to see what all the fuss is about when Universal’s Jurassic World 2 stomps into theaters on June 22nd, 2018. It’s the second part of a bona fide trilogy, according to early reports, which means the third and final (?) installment ought to be with us in 2021.